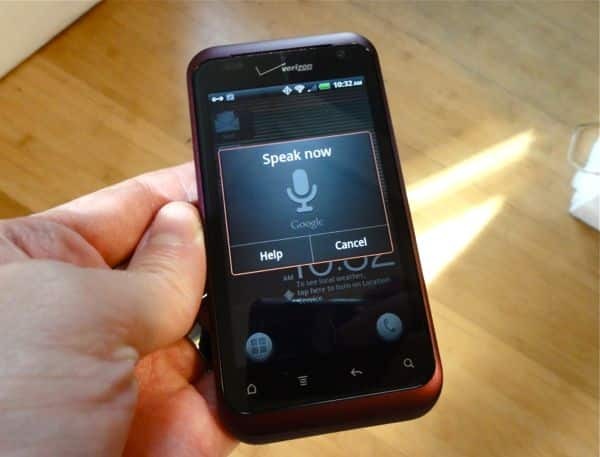 Siri, the new voice-activated “intelligent assistant” for the upcoming iPhone 4S, may be getting all the buzz, but you can already bark commands at your handset if you own a relatively recent Android smartphone. No, Android’s “Voice Actions” feature won’t check your calendar or tell you if you’ll need a raincoat today like Siri (supposedly) can, but it will compose text messages, queue up songs, place phone calls, and even figure out driving directions. Just say the word. 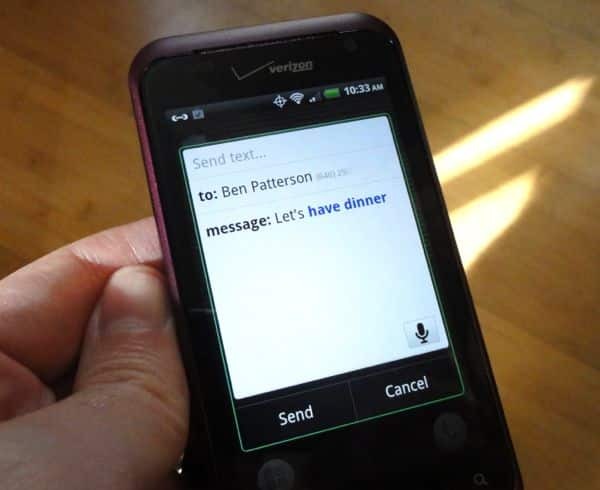 Just say "send text" to compose a quick text message with the power of your voice. Ready to start bossing your Android device around? Let’s get started. First, make sure your Android phone actually supports Google’s “Voice Actions” feature. Tap Applications, then Settings. Next, tap “About this phone” and select the “Software information” option. Under the “Android version” heading, does it read “2.2” or higher? If so, your phone is ready for Voice Actions. If not, back up to the main Settings page and tap “Software update” to see if there’s an update available for your phone—and if that doesn’t work … sorry, no dice. Now, it’s time to download some apps. You’ll need the latest versions of both Voice Search and Google Search installed on your phone; click here and here to install them from the web-based Android Market, or launch the Android Market app on your phone to search for them. Ready for your first voice command? Press and hold the Search button; on most Android phones, it’s marked with a magnifying glass and sits just beneath the display, to the right. You can also tap Search, then tap the little microphone icon next to the search box. When the “Speak now” pop-up window appears, try saying “map of New York.” After chewing on your command for a second or two, you’ll get a confirmation message that reads “Map of new york”; hit the “Go” button, and Google Maps will open, complete with an arrow pinpointing the Big Apple. How about a text message? Press and hold the Search button again, and say “send text to [name of a friend in your contact book] let’s have dinner.” In a few seconds, a draft text message should appear, complete with the correct phone number (hopefully, anyway) of your pal already listed in the “To:” field. Tap the “Send” button to send your message, or press the little microphone icon to “speak” more text. So, what else can Voice Actions do? You can “call” a person or a business, “send email” to someone, “go to” a website, “listen” to a song or artist, get “directions to” somewhere, or get turn-by-turn directions by saying “navigate t.o” Click here for a more detailed list of commands.